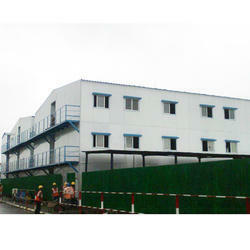 We are offering high grade Multi Story Buildings, which are modular Prefab double storey / triple storey structure with PUF/EPS insulated panels/ light gauge steel framing (LGSF) structures.We offer total turnkey solution for prefab double story structure under one structure, beginning with designing, fabrication, production and till installation. The quick multi storey structure with thermal and acoustic insulation is cost effective. We also manufacture Prefabricated Double Storey Structure, Double Storey Structure, Double Storey Building, Multi Storey Building and Prefabricated G+1 Building. We designed these Multi Storey Building as per the specification of the customer. Clint can availed these product from us at affordable prices. E-Pack offers best – in class light gauge steel framing solution across an extensive range of infrastructure projects. We provide a complete package from planning, designing, manufacturing, on-site installation to meet your project requirements. 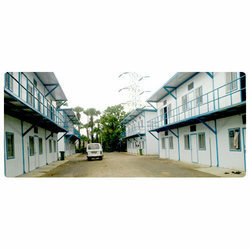 Besides villas & resorts, E-pack Rite Steel Buildings also offer a variety of other solutions. These find usages across commercial to residential to industrial areas. From facilitating larger spans and greater heights to constructing in difficult terrains to adding floors, a defined approach underlines Epack’s commitment to generating more value. With the help of our team of technical professionals, we are engaged in offering superior quality Prefabricated G 1 Building. Fabricated under the supervision of qualified team using premium grade materials, this is used as portable accommodation for major companies. It is widely appreciated among our clients for the attributes like well furnished interiors, less maintenance and proper ventilation. Widely demanded among our clients, this can be availed from us in different shapes, finishes and standard as well as customized sizes. Owing to the expertise in this domain, we are offering excellent quality Double Storey Building that consists of furniture, lights and other required amenities. 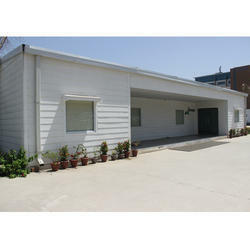 In order to fabricate this building, our experts make use of high grade materials as per the set industry standards. It is highly spacious and is available in spacious design, high strength and excellent finish. To meet the diverse demands of our clients, we provide this in various specifications at cost-effective price. We are offering high grade Multi Story Buildings, which are modular Prefab double storey / triple storey structure with PUF/EPS insulated panels/ light gauge steel framing (LGSF) structures. These are well designed structural framework, considering the seismic zone, wind load, dead load and others. We offer total turnkey solution for prefab double story structure under one structure, beginning with designing, fabrication, production and till installation. The quick multi storey structure with thermal and acoustic insulation is cost effective. It is the perfect solution for the requirement of mass accommodations, group housing, worker accommodation, office building and others. Flexibility to choose various options on fascia of panels based upon the site conditions & requirements. 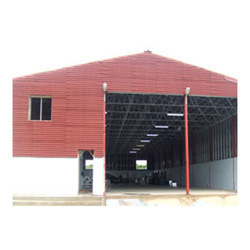 We are one of the leading organizations of highly qualitative and innovative Double Storey Structure. This is made using premium grade materials and advance technology at our state of the art facility. It finds its applications in industrial, commercial areas and is well known for attributes like weather resistance, compact design and low maintenance. Also, this is available in different sizes, patterns and dimensions according to clients' needs. 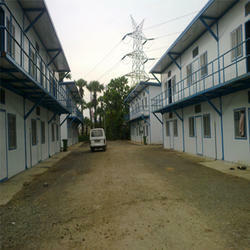 We are a leading organization of optimum quality LGSF Building. This is facilitated with all the basic and modern amenities like proper lighting, air conditioner, and furniture.While fabricating this building, we make use of the best quality materials keeping in mind the latest industry trends. In addition, this can withstand adverse weather conditions.